March is often the transition from winter to Spring in western Colorado. Trees start to bud, daffodils and crocus’ start to bloom, temperatures start to warm up and everyone and everything begins the slow transition from winter to spring. March is also a time when people start thinking about the transitions that are part of life. Specifically, weddings and graduations. Graduation is a transition. Transition from high school to college, your first job or a stint in the military. I remember both of my graduations well. My high school graduation because it made my father very proud. He did not graduate from high school but got his GED in the marine corps. My college graduation was much more meaningful to me because it was a hard fought battle won. Whether you’re celebrating a high school graduation or a college graduation, we have the equipment to make your celebration wonderful. March is also a big time for wedding planning. Will it be a small wedding or a large wedding? What venue will I choose? Will it be an indoor or outdoor event? 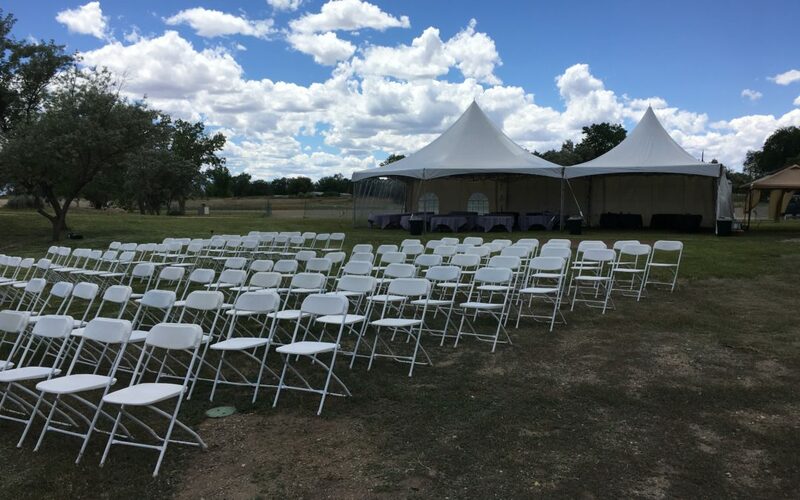 Will I use one of the many venues that exist in western Colorado or will I choose my parents back yard or ranch? What will I need in the way of creature comforts? Chairs, tables, tents, linens, dishware, glassware, silverware? Will I need food and beverage items – like chafing dishes, coolers, drink dispensers, or coffee urns? What size linens will I need? What color do I want? Do I want a dance floor? Will I need a PA system or sound system? Will it be formal or casual? Sometimes the decisions can seem overwhelming. That’s where Grand Events comes into play. We realize it can be a stressful decision-making process and we’re here to help you and help reduce your stress. We also realize that things change. That’s not a problem. We’ll help you walk through the process. Make as many changes as you need and help you plan your big day. Whether it’s a graduation or a wedding, Grand Events is there to help make your day or event grand. Stop by our showroom or give us a call.